Gatorade announced they are going to discontinue Tigerade (aka: Gatorade Focus) as part of a streamlining of their product lines. Pepsico officials said their decision to drop the Tiger themed drink has nothing to do with his current personal issues. It was part of a decision they announced awhile back to remove the singular focus of Tiger on one product, so they could use him across their whole line of Gatorade drinks. More here at CNBC. Is this Tiger Woods losing his first endorsement deal? No, it was probably just a coincidence that Gatorade made this announcement now when everyone’s awareness of all things Tiger is heightened. It’s doubtful that Tiger loses any significant endorsements from the infidelity that’s been revealed. It is possible that he loses some future deals from sponsors who might have been in talks with Tiger’s agent. Or at least I think we’ll see a long drought until the next Woods endorsement deal is inked, because no company wants to take the negative PR hit of signing Tiger right now. 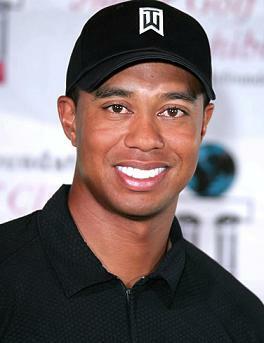 Tiger Woods is the top athlete endorser in the world today. He is the Cadillac of athlete endorsements (even if he occasionally drives erratically in his own Escalade). Every major corporation wants him, but few can afford him. Woods has even surged past sports brand icon Michael Jordan in-terms of earnings; Tiger is first athlete in sports to earn more than $1 billion dollars in their career. Much of that money comes from the rich endorsement deals that Tiger has had for over a decade. Tiger’s endorsement history is legendary, starting with a $40 million contract from Nike when he turned pro in 1996. Tiger basically made Nike Golf what it is today and Phil Knight rewarded him handsomely with a $100 million extension in 2006. Tiger has become the driving force behind Nike Golf, even as they have added other big name golfers to their endorsement stable (i.e.- Stewart Cink, Anthony Kim, Justin Leonard). Woods is a poster boy for their product line, having dropped his lucrative Titleist sponsorship when he switched to play a Nike golf ball. Much of Woods appeal as an endorsement star has to do with his phenomenal ability on the golf course. Tiger grabbed the sport of golf by the throat and has not yet let go; in a sport with some of the biggest endorsement stars on the planet (Phil Mickelson, Arnold Palmer) Tiger is the king. It only helps that golf’s demographic is one that appeals to the bluest of blue chip companies; businesses that want their product featured (by Tiger Woods) to that affluent golf crowd. Tiger’s so marketable that even his caddy, Steve Williams, has grabbed endorsement deals with Nike and Valvoline. Let that sink in for a second…even Tiger Woods’ caddy has major corporations paying him money to endorse their product. Perhaps the truest test of Tiger Woods endorsement appeal is understood by looking at the list of corporations that he used to endorse. Tiger’s former deals with Accenture, American Express, Buick, General Mills, Titleist and Rolex would be the envy of most athletes, yet Woods has just moved on to bigger, more lucrative deals. Tiger Woods has truly changed the game in-terms of endorsement deals. Like Jordan did before him, Woods seeks out “business partnerships” rather than just contractual endorsement deals. He is setting the standard today on how athletes and sponsors partner up. His deals are making sports stars, like Tiger, more money from corporate sponsors than they have ever earned before. Gatorade started airing their “Be Like Mike” commercials in 1991. The commercials starred global basketball icon, Michael Jordan, in a series of off-court clips with footage of his NBA games intermingled. The catchy “Be Like Mike” provided the background theme for these spots. Suffice to say the commercials were an instant hit and people around the world began repeating the phrase every time they hit the basketball court. I remember a few memorable attempts of my own to “Be Like Mike” while goofing around on the basketball court. What wasn’t known at that time is the influence the “Be Like Mike” commercials by Gatorade would have on sports marketing. How many other brands would copy the formula in successful future commercials. The formula: catchy tune plus fast action of filmed spots and clips of game action all mixed together. Gatorade set a standard back in 1991 that has been copied by some of the biggest name in sports since then. This New York Times article is a glimpse into the life of Oklahoma Thunder forward, Kevin Durant. The Times labeling his as a “Rising Star” within the league, which could soon be an understatement. Durant seems to be on the verge of becoming one of the marquee players in the NBA, the same way he did in high school and college. I watched him during his one season at the University of Texas and he’s an athlete that has a near limitless upside. I think Durant will continue to use his time in Oklahoma City to hone his game and mature his body. Then when he’s a free agent, he’ll take his game to one of the big media markets (e.g.- New York City) to become a star. He’s a low key, fly under the radar type of guy – so it’ll take that type of move to thrust his name into the national conversation. But it’ll be his play on the court that keeps the media and fans talking about him, because there is very little on the court that he cannot do. I also expect the endorsement dollars to start to flow once KD is in a major market (current Kevin Durant endorsement deals). His current deals with EA Sports, Gatorade, Nike and Upper Deck should only grow bigger. And plenty of new brands will line up to get one of the top, young athletes in sports to endorse their produce. They’ll love how his polite, almost shy demeanor compliments the fiercest competitor that comes out on the basketball court. Durant will be a millionaire many times over before he’s 30 and quite possibly once of the best basketball players of this generation. Who are the most popular athletes in America? Americans love sports, so naturally we love the athletes who play the games. But which athletes are our favorites? Who are the top 10 most popular athletes in sports today? The Harris Poll recently released the results of their 2009 survey that asked 2,177 U.S. adults to tell who were their favorite sports stars. What stands out to me about the lists, particularly among the guys, is the influence that Nike has among the list. 7 of the 10 guys on the list endorse Nike, you could count Brett Favre as an 8th since he endorsed Nike brand, Starter. The only 2 guys who do not have endorsement deals with Nike are the two Nascar drivers, who wouldn’t be a target for a shoe/apparel endorsement deal. So you could say that Nike has a clean sweep of the eligible males. Among female favorite athletes Nike’s percentage drops down a bit, but they still have four of the top 10 and the #1 overall. Serena Williams, Mia Hamm, Maria Sharapova and Chris Everett Lloyd all cash endorsement checks signed by Phil Knight. Other brands are well represented; Gatorade has deals more than half of the two lists. That number is even greater if you factor in all of the Pepsico clients, Gatorade’s parent company, on the two lists. Nike’s chief competitor, Adidas, also has a couple of current (Parker) or former endorsers (Kournikova) on the list. But no brand is as well represented on the two lists as Nike. The question it brings up is whether Nike’s marketing is helping to make these stars more popular or whether Nike has just picked the most popular athletes? My thought is that it’s a bit of both. Nike has always been one of the innovative marketers in sports. They’ve revolutionized the game of sports marketing with campaigns they built around athletes, starting with Michael Jordan and continuing today through Tiger Woods. Consider that Nike did not even make golf shoes or clubs prior to signing Tiger in 1996. Nike’s original endorsement contract with Tiger Woods was $40 million dollars over five-years, which was then followed by a five year, $100 million dollar extension. But their spending did not stop there, Nike has spent tens of millions more to promote their association with Tiger Woods. And for their efforts, it’s estimated that Nike Golf pulled in $725 million in sales in 2008. Through their endorsement deal and promotion, Nike essentially created a new billion dollar revenue stream for the company. That type of innovative marketing will generate the cash to pay for a lot of endorsement deals. And Nike has never been shy about spending for top talent. They signed quasi lifetime endorsement deals with a few of the top names (Jordan, Woods & Serena Williams) to make sure they locked up their stars. Other deals might as well be lifetime contracts because you won’t see Jeter or Sharapova pitching anyone else’s shoe brand anytime soon. And Nike jumps at the chance whenever their has been an opportunity to add a big, new star to their roster. Just recently they solidified long-term agreements with two members of the top 10 list above who happen to be the most popular players in the NBA; LeBron James and Kobe Bryant. All of the athletes above are some of the biggest stars in sports; a feat they achieved because of their superior talent and lots of hard work. But to ascend to the top of the list of America’s favorite athletes also requires a little help from sponsors. And from their dominance on the two lists, it appears that Nike is a really good sponsor to have. PepsiCo and Coca-Cola are at it again; battling tooth-and-nail for the lead position to quench consumers thirst. 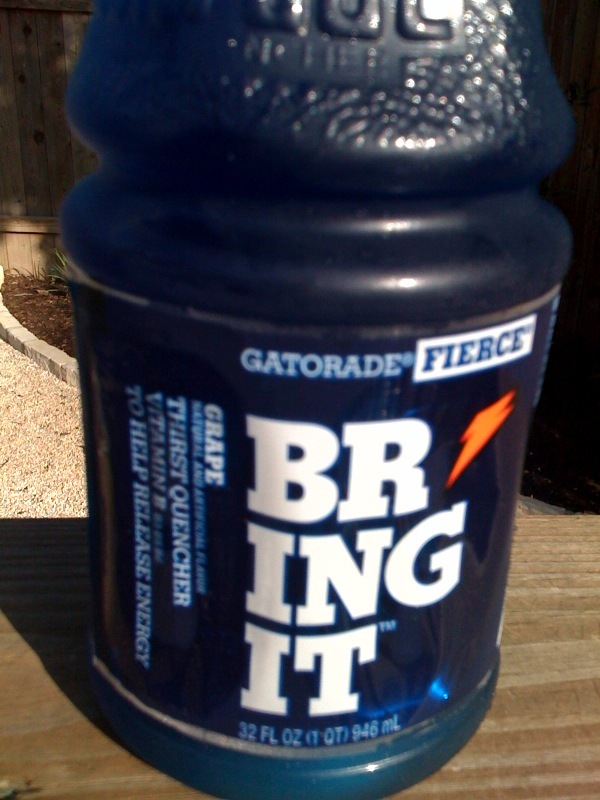 This time the fight is with their sports drink division, which matches up heavyweights Gatorade and Powerade. The current dust up started with Powerade’s new campaign launch, which directly attacked Gatorade as the “incomplete sports drink”. Powerade is using a heavy buy on ESPN and outdoor to support their message of superiority to Gatorade. Now Gatorade is striking back, but not in the form of an advertising campaign. Gatorade is seeking legal action to stop Powerade from what G calls, “false advertising, trademark dilution, deceptive acts…and unfair competition.” Gatorade refutes Powerade’s claim of superiority in having two additional electrolytes. Gatorade also wants the court to prevent Powerade from using “distorted” depictions of Gatorade bottles in their advertisements. If nothing else this gives the lawyers at PepsiCo & Coca-Cola something new to clash over. My guess is that Gatorade wins in preventing Powerade from using their direct brand marks in the campaign, but doesn’t prevail in stopping Powerade from claiming to be more “complete”. The best line in the AdAge article was from the Coca-Cola spokesman who said, “We stand behind our product and are prepared to defend the role that Powerade plays in hydrating consumers.” I loved the part about “hydrating consumers” because it is typical PR guy speak to use while defending your brand. The detente in the sports drink war between Coca-Cola and Pepsi is officially over, and Coca-Cola’s Powerade is coming out swinging. Powerade has launched their first major marketing campaign since 2001 and the current campaign paints a target squarely on the back of chief rival, Gatorade. The new Powerade campaign mocks Gatorade as being an “incomplete” sports drink because it lacks a couple of the electrolytes that Powerade has in their new formula. The campaign will become the first advertiser to take over the cover of ESPN The Magazine, which it will do with a cover flap that says “You wouldn’t want an incomplete cover. Don’t settle for an incomplete sports drink” next to a Gatorade bottle. The inside flap of ESPN will show a Powerade bottle with the tagline, the “complete sports drink”. This campaign is a bold move for Powerade, taking a ‘challenger strategy’ by clearly singling out their competition. But it a strategy that parent companies Coca-Cola and Pepsi have engaged in before across other beverage categories. In this case Powerade has very little to lose by comparing themselves directly because has over 75% market share in the sports drink category (compared to 22% for Powerade). And there may never be a better time for Powerade to attack because Gatorade is in the midst of a rebranding project. Making their move while Gatorade transitions their brand might allow Powerade to capitalize on some consumer confusion; getting people who suddenly don’t associate with the Gatorade brand to reach for a Powerade instead. Sun Tzu said in “The Art of War” that “all warfare is based on deception.” Powerade seems to be taking a cue from him in this war for sports drink supremacy. Tale of the Tape: How does Gatorade versus Powerade stack up? Parent company: Gatorade is PepsiCo. Powerade is Coca-Cola Company. Founded: Gatorade in 1965. Powerade in 1988. Marketshare: Gatorade has ~ 77%. Powerade has ~ 22%. Calories (main product): Gatorade has 158. Powerade has 195. Official sports drink: Gatorade has MLB, NFL & NHL. Powerade has Nascar, NCAA, PGA & US Olympic Team. Now you can visit the “G Moments” page on NBA.com to watch and vote on the NBA plays of the week. Gatorade is the presenting sponsor of this promotion, which is where the “G” in “G Moments” comes from. Using “G” is sort of a play on words because it stands for Gatorade, but also is slang for “Gangsta” which can be used to describe a great player or particular play. Click here to watch Gatorade’s “G Moments” on NBA.com. Gatorade has been a sponsor of the NBA since 1984, which includes the NBA, WNBA, NBDL and USA Basketball. The “GMoments” promotion on NBA.com is another vehicle that will help create awareness for the new Gatorade brand. The new Gatorade logo is prominently displayed on the page along with a few of their new taglines like Gatorade Fierce’s new “Bring It”.